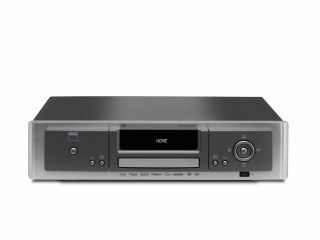 NAD Electronics has unveiled its latest contribution to the home cinema market – the NAD M56 Blu-ray player. Sporting the sort of technology which makes AV enthusiasts drool, the M56 is a BD-Live toting machine that's designed so that you get the best from your Blu-ray discs. On-board is HDMI connectivity (1080p at 24 frames) and Component video output (1080i), a proprietary upscaling engine and a USB 2.0 port on the rear panel. When it comes to audio the NAD M56 is well-equipped, boasting LPCM via HDMI, Dolby Digital and DTS legacy formats and there's even some backwards compatibility to spruce up the sounds of your old discs. The chassis is built from thick steel and houses a die-cast aluminium front panel which is said to help with sound isolation, and there's a cooling system within the player to make sure that no matter how much use the M56 gets, it will offer 'peak performance and reliability'. NAD has even managed to offer up fast disc-loading times with the M56 – something which blights most Blu-ray players. NAD are quoting loading times to be 'a few seconds' and there's also an Instant Open feature to quickly eject a disc. With great power comes great pricing, however. The NAD Masters Series M56 Blu-ray player is out now for £1,900. Go to http://nadelectronics.com for more details.